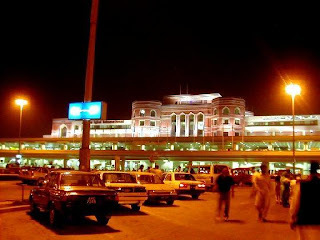 Allama Iqbal International Airports Pakistan's second largest civil airport after Jinnah International Airport. 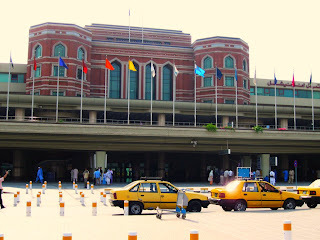 It is located in Lahore, Punjab, Pakistan and is commonly known as Lahore International Airport. It is named after the poet-philosopher Allama Iqbal who was a major proponent for the foundation of Pakistan. 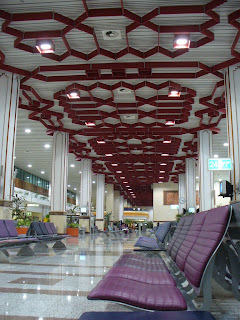 The airport currently has three terminals; the Allama Iqbal terminal, the Hajj terminal, and a cargo terminal. 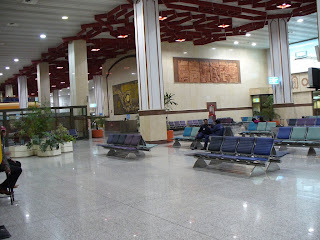 The airport is located about 15 kilometers from the center of the city. 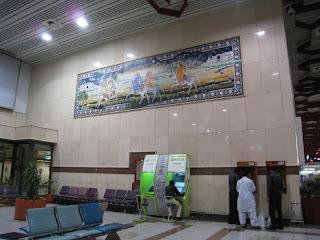 The Airports terminal external design is in keeping with the Mughal ancestory of the city and yet its modern interior gives way to a spacious clean environment that stands it in good stead with world airports. Middle sized and perfectly capable of handling its traffic comfortably, it is a superbly designed and run internally and externally.